A comparative research from Oxford University criticizes reception conditions of asylum-seekers in Switzerland. It also shows how a fair asylum-procedure with acceptable reception conditions will improve the cooperative response of asylum-seekers because they have trust in the asylum procedure. How to best avoid the detention of asylum-seekers? This research finds that a good “Alternative to Detention” framework through open shelters with holistic support and appropriate integration programs as well as a fair Refugee Status Determination process will foster greater TRUST amongst asylum-seekers and lead to greater cooperation on their behalf. “Alternative to Detention” is of course less costly for the public purse and improving the system should therefore be regarded as a priority for governments. Cathryn Costella and Esra Kaytaz from Oxford University examined the workings of “Alternatives to Detention” (ATD) of asylum-seekers and other migrants through empirical research in Toronto (Canada) and in Geneva (Switzerland). In « Building Empirical Research into Alternatives to Detention: Perseptions of Asylum-Seekers and Refugees in Toronto and Geneva » (University of Oxford, June 2013, link: http://www.refworld.org/docid/51a6fec84.html), they have identified the conditions that foster the co-operative predisposition of asylum-seekers which is closely related to suitable reception conditions such as a fair Refugee Status Determination process (and other legal process), holistic support to navigate legal processes and life in the host country. In Geneva the authors examined the whole reception system, which entails accommodation of various sorts, from the CEPs (Registration and Procedure Centres) run by the Federal government, to other forms of accommodation such as « Shelters » (Foyers) and underground bunkers, under the auspices of the Canton of Geneva. According to the researchers, the Toronto Shelter System is an exemplary reception system and seems to provide the requisite support for asylum-seekers to ensure their cooperation with the Refugee Status Determination process. In contrast, the Geneva Foyers, while they provide identical open accommodation, do not provide other holistic supports partly because the reception system does not have the capacity to deal with the current volume of applications, leading in particular to long delays in asylum processing. Asylum-seekers arriving in Switzerland did have the expectation that they would be fairly treated but most were very quickly disappointed and felt that their treatment generally and the Refugee Status Determination process in particular were unfair. The researchers found that in Canada, the reception conditions were much better because the Shelter System provided an environment in which ties with the city were established quickly and asylum-seekers felt part of Canadian Society. In comparison, most of the asylum-seekers interviewed in Geneva, described the Centre of Registration and Procedure of Vallorbes as closed system in which they mostly felt partly detained and in the Geneva Shelters (Foyers) the asylum-seekers complained about the fact that they couldn’t do anything and in the underground Bunkers, the researchers found that the living conditions were sub-standard as it lack natural light and ventilation. For those in the bunkers, such harsh conditions seemed to undermine all trust in the authorities and contributed in fear, despair and despondency. The researchers also found that in Geneva the Refugee Status determination process was perceived as unfair. Perceptions of fairness depend on being afforded a proper hearing, consistency of decision-making, and taking decisions promptly but most importantly what fosters trust is access to early legal advice and assistance. In Geneva, asylum-seekers complained on the second hearing (grounds of persecution hearing) which was perceived as a gruelling interrogation, aimed at finding inconsistencies in their accounts. Delay in the procedure was also widely perceived as unfair and legal assistance to asylum-seekers nearly inexistent. Amongst asylum-seekers the widespread belief was that lawyers should only be consulted for the appeal stage, if at all. The problem comes from the fact that there is no formal legal aid for refugee claims, so asylum-seekers who lack resources have to rely on NGOs (CARITAS, CSP and ELISA) for legal representation. Most interviewees had not received legal advice or proper information on the procedure before either the registration or main interview. On the contrary, in Toronto, the legal assistance to asylum-seekers is greater. From the outset, residents in shelters receive lists of experienced refugee lawyers and the shelters often provide legal orientations and general legal information on the process, but left it to private lawyers to represent them. This division of labor seemed beneficial and seemed to reinforce the trust in the system. Beeing legally assisted from the beginning was seen as crucial on behalf of asylum-seekers. Every asylum-seeker arriving to Switzerland or Canada has high expectations on the quality of the asylum-procedure, fair treatment and holistic support. But in Geneva the asylum-seekers were quickly disappointed. The researchers argue that Switzerland should work harder on its asylum-system in order to maintain the trust of asylum-seekers in the system and in order to foster their cooperation with asylum authorities. It is however strange that the UNHCR suggested to the researchers to compare the Canadian system and the Swiss system as the attitude towards migrants is so different: Canada welcomes (1), Switzerland is building walls. As the Swiss asylum-authorities are striving to find new solutions in order to improve its system, the message of the Oxford Research is timely as NGOs providing legal assistance in Geneva have been struggling to maintain a high standard of quality work in terms of legal assistance to asylum-seekers although they receive no financial support from the Confederation. The message of the Oxford researchers to the Swiss authorities is very simple: fair asylum procedure + good reception conditions = greater cooperation from asylum-seekers + lower costs for the government. 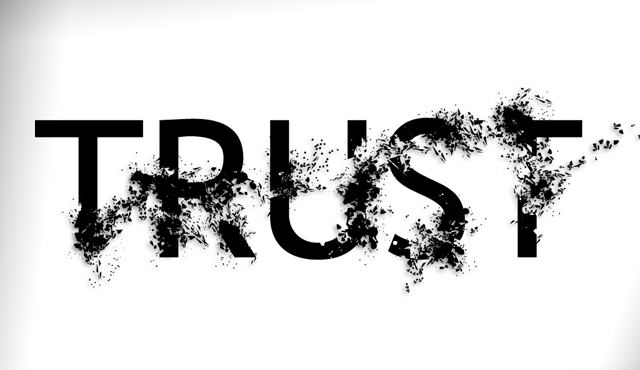 Everything is about TRUST. 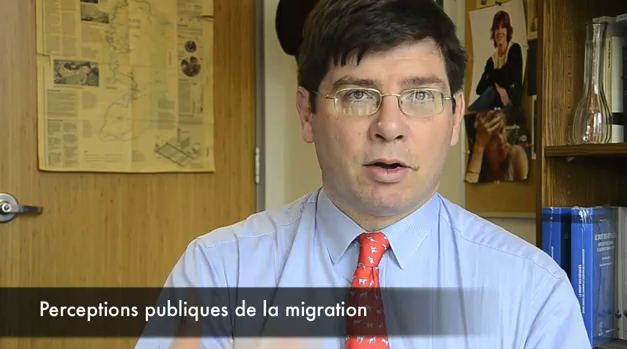 (1) Mr. Crépeau, UN Special Rapporteur on the Rights of Migrants, see his interview on http://www.youtube.com/watch?v=emTIKbmMMeg&feature=youtu.be. Canada has a positive attitude towards migrants which is not the case of Switzerland which is overwhelmed by the high volume of asylum application and tries to raise as many legal and psychological walls as possible to avoid the influx of migrants.